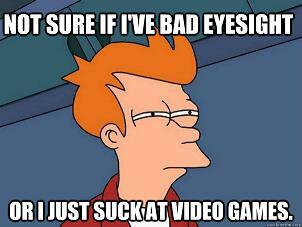 Playing Video Games Improve Eyesight. Facts or Gimmick? Your mother may likely to go ranting it is impossible! However, she may be wrong about these poor entertainment babies. 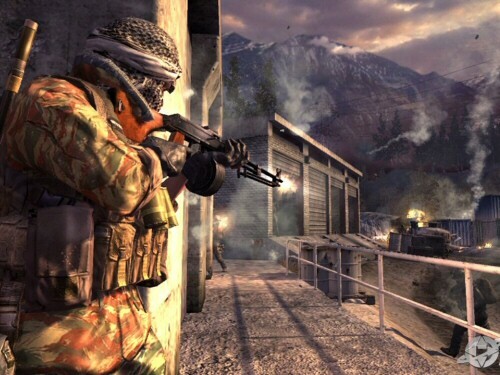 Recent studies shown that action video games improve eyesight, especially the first person shooter type like Medal of Honor, Call Of Duty and Half Life 2. 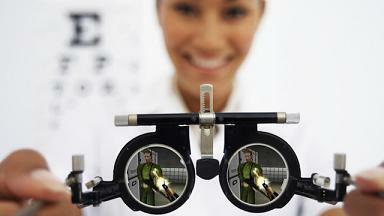 Common knowledge about video games and eyesight is that they are devastating to our eyes. Personal experience validated this assumption. My eyesight deteriorated quickly ever since I got hooked onto video and computer games. When we play videogames, we are often so absorbed by it that by the time we realized, we had spent one whole day without any break. Especially multiplayer type where distraction means failure. Even if you know that eye breaks are important, you will probably forget about taking them. 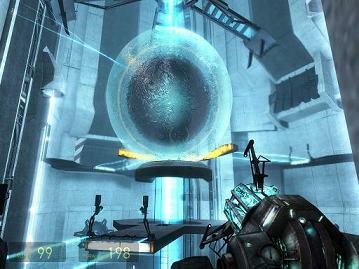 Video games also generate large amount of near-point stress to our eyes. Studies stated that prolonged hours of viewing things that is within 10 feet (the screen) weaken your eye structure and increases nearsightedness. It’s even worse if you are using computer to play video games as it can cause Computer Vision Syndrome, which accelerates eye and vision problems if not kept in check. Probably the best solution for this is to take adequate rest and do some eye relaxation exercises. So how does video games improve eyesight then? In University of Rochester, 22 students were divided into two groups. One group played the action games "Call of Duty 2" and "Unreal Tournament 2004." The other group played "The Sims 2," a game which requires much less hand-eye coordination. Over a period of 9 weeks, the two groups played a total of 50 hours. According to Daphne Bavelier, a professor of brain and cognitive sciences, at the end of the trial, the action game players showed an average 43 percent improvement in their ability to discern close shades of gray, while the Sims players showed none. Bavelier also found very practiced action gamers became 58 percent better at perceiving fine differences in contrast. In McMaster University, there was another study on video game and eyesight lead by Daphne Maurer, the director of the Visual Development Lab. The experiment was carried within a group of adults who were born with cataracts in both eyes. Even though they had eye surgery before in their early childhood, they still had problem reading small prints and following moving objects and identifying faces. After playing a first-person shooter video game for 40 hours over a month-long period, the patients' vision improved enough that they could read one or two lines further down on an optician's eye chart. They also became better at following the direction of movement, detecting slow rates of flicker and distinguishing between faces. The improvements were said to last for months after the game stopped. Bavelier told the University of Rochester news service. "When people play action games, they're changing the brain's pathway responsible for visual processing. These games push the human visual system to the limits and the brain adapts to it, and we've seen the positive effect remains even two years after the training was over." Though it does not improve or change the health structure of your eyes, video games may be able to improve the way you see. One important aspect about visual is that we don’t just ‘see’ things. Your brain is constantly appraising the visual scene around you and choosing which elements to attend to at any one time. This means that you can teach your brain is handle visual information differently and attend to details which had normally been ignored. Contrast sensitivity determines how well you can perform a variety of functions such as driving and reading. It affects the brightness perception of your vision and is based on both the capabilities of our eyes and the neural components that interpret what they perceive. In the past, it is often thought that contrast sensitivity can only be improved by using surgical means or using external helps such as glasses. To many surprise, Bavelier’s study shows that there is people can actually improve it by playing action video games. Thus, it's possible to improve contrast sensitivity without changing basic aspects of vision by training the brain in a way that heightens awareness of contrast. In fact, similar video game trials have also been used to help amblyopic patients in their rehabilitation programs by making the problematic eye work harder. If you want to use video games to improve eyesight, here are some tips. Take a 30 seconds eye break (for best result incorporate eye relaxation exercises) after every 30 minutes of game time. Do not play more than 2 hours per day (participants are only allowed to play an average of 2 hours daily everyday). However, if you are really serious about improving your eyesight, it is better to take on eye exercises. Reason being that the 'video games improve eyesight' method does not improve the health of your eyes. It only improves your skill in seeing. Not matter how good you are at running, you can’t run far without good health.